If you’ve been reading this blog for awhile, you’ll know that I have no sense of delayed gratification. I picked up this Jenni Kayne cape (also available here) last month when it first became available – I’d been on the hunt for a classic cape for long time, and I finally found one that was just my style and not completely out of my price range. Because it’s such a timeless piece and I believe I’ll get a lot of use out of it (not just this year, but years to come), I was willing to invest in a good one. This one is almost sold out, so don’t wait to grab it! Check out my other suggestions to get the look below. This Carven cape is nearly identical, but with some adorable winter-ready toggles and oversized lapels. 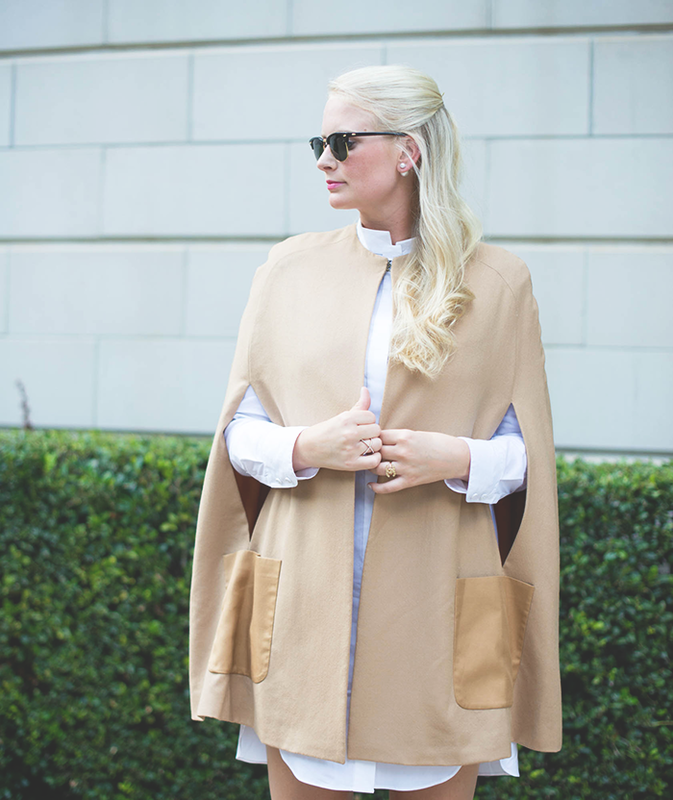 For an even more basic camel cape, this Burberry piece is a gorgeous wardrobe staple. This navy cape by Joie is reasonably priced and an easy staple you’ll wear all winter. You know how I feel about basic black, and this one by Haute Hippie is a winner. Leave it to Alexander McQueen to create a dramatic cape that anyone would kill for. Finally, this Tory Burch piece is equal parts chic and useful. It’s both a jacket and a cape! WOW! What a chic statement piece! I totally understand, this cape is gorgeous. Omgosh I can’t even handle the chicness! You’re going to kill it at NYFW in this cape! 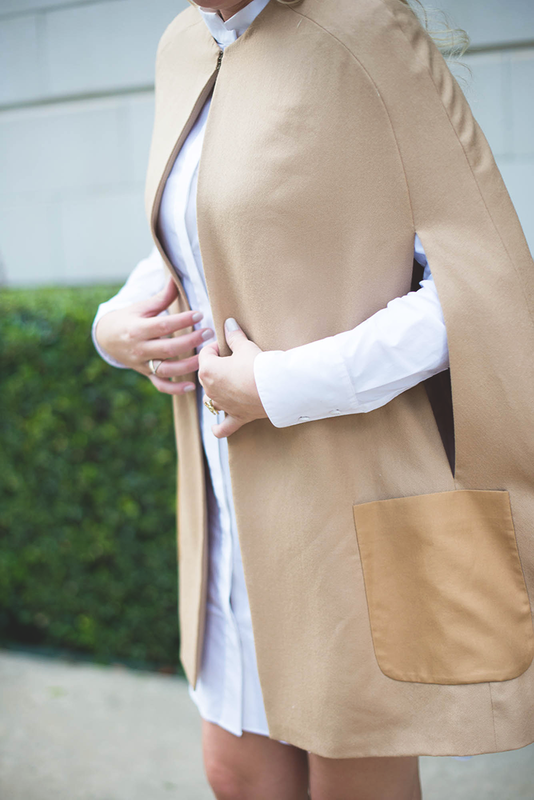 Absolutely gorgeous – the neutral tones are so pretty on you and I am definitely on the hunt for a chic cape this season! You’re a vision! You look like you just walked out of my Pinterest board, stunning! Love these neutrals! So chic. I have a feeling we will be seeing a lot of this trend. Have a great weekend, Merritt! oh my gosh merritt you look absolutely gorgeous! seriously one of the most chic looks i have seen in a long time. 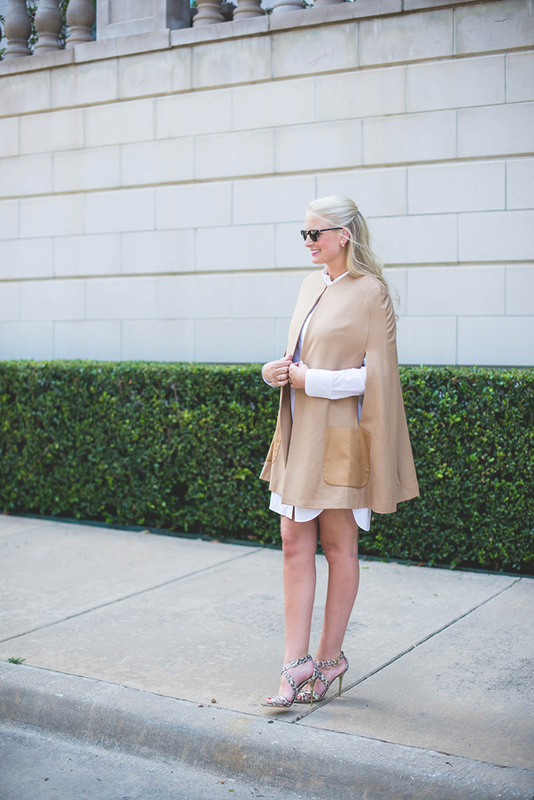 i’ve been dreaming about a cape for fall and love the different options that you picked. pinning for inspiration…have a wonderful weekend! Nice cape and za hoes. Those jimmy choose are such a fun addition to this neutral look! So chic and utterly timeless! I love the neutral palette particularly your Jimmy Choos! I seriously love this cape!! It is so chic and classic – no one could pull it off better than you! That cape is so chic! Love the sunglasses too! A shirtdress is totally on my fall wish list! You look stunning with the cap over it. I saw you in my Lucky magazine and freaked out. You look amazing. Congratulations on all your achievements! You are such a great blogger. 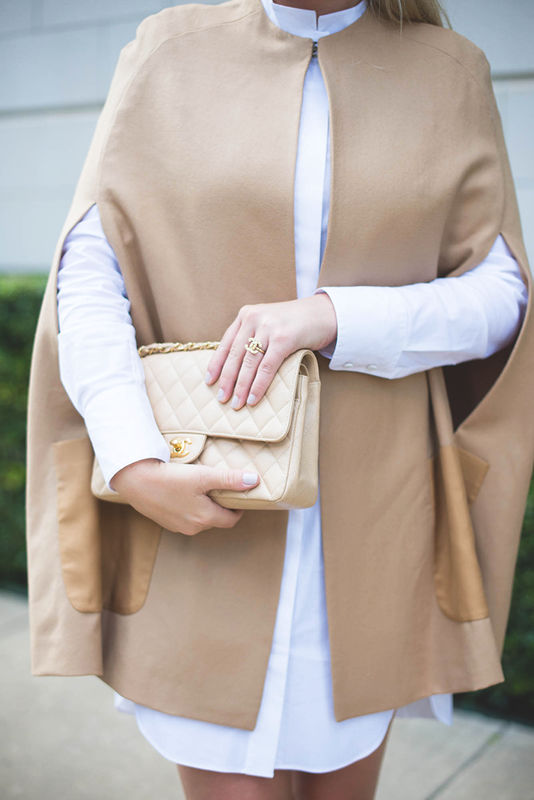 A cape is on the top of my wishlist for fall. Love this camel one on you! That cape is gorgeous!! I also love those shoes!! That cape! I have tons of images pinned from Gio Battaglia. Love the creamy goodness here. Love love, so pretty with that clean classic dress as well.